What do you like the most about Minecraft? Maybe you like to explore the deepest darkest caverns or maybe you live for the thrill of building that next big masterpiece, but chances are, if you’re playing online, a lot of the appeal is the people. 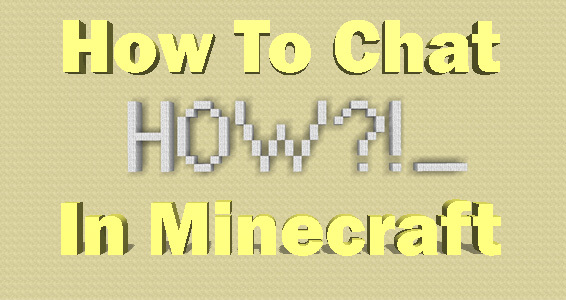 I’m sure if you’ve gotten this far and made it to this article then you probably already have a pretty good rudimentary understanding of how to chat in Minecraft, but in case you don’t this guide will give a rundown on how to use one of the frequently used chat modules for online Minecraft servers. BungeeSuiteChat is designed to work on Minecraft servers to provide a seamless chat solution that is able to bridge multiple servers into one chat realm. 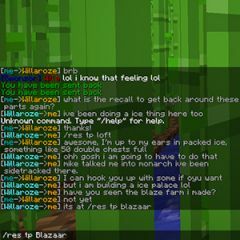 Here at Better In Game, you’ll never find yourself alone thanks to global chat that crosses from server to server. We can start with the basics. If you didn’t know already the default on Minecraft to open chat is the “T” button. After the “T” button is hit the chat window will appear and messages can be typed. After the message is complete you simply hit “enter” and the message will appear on the channel that you are set to in chat in. This should have you chatting in any Minecraft server regardless of the plugins that may be installed. The additional tools that are provided by the BungeeSuiteChat are pretty awesome and include everything from private messages, local chat, server chat, global chat, faction chat, and more. These chat tools are insanely easy to use, and I’ve found myself even after coming back to Minecraft after a long hiatus that the commands are still all in my head. To give you the rundown I’ll go through each of the chat options in BungeeSuiteChat, starting with the basics that all players can use, and finishing off with features accessible only to sponsors at Better In game. By default, when you join any of the Better In Games servers you will be set to “global” chat. Global chat is exactly what it sounds like. When you type messages into chat set to global everyone on all of the Better In Game servers will hear you. If you are set to another type of chat you can switch back to global by typing in “/global” and then hitting “enter” alternatively if you want to remain in the chat you are in you can type “/global <MESSAGE>” and then hit enter. This will send you message to global but keep you in the chat you are currently set to. Sometimes you might find yourself only wanting to communicate with the people on your server. This is a good choice if you’re discussing things specific to that server. To switch over to server chat type “/server” and then hit “enter”. Local chat is just what it sounds like… local. 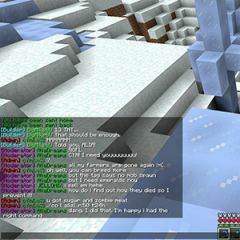 This chat will make it so you’re only communicating with the other players who are in close proximity to you in game. This is very useful if you’re simply chatting with a friend handing out at the same place in game. To enter local chat type “/local”. Remember that with local chat, if you do get too far away from whom you’re speaking to, they will no longer be able to hear your chat. This chat comes into play on Better In Games Monarch server. If you’re playing in a world that is loaded with PVP you don’t want your enemies hearing your battle plans, right? To switch to faction chat type “/factionchat” and then hit “enter”. Alternatively, you can also type in “/factionchatally” which will set you on a channel with your faction and your faction’s allies. Sometimes you want to speak directly to a friend or other player. This can easily be achieved using a private message. To send a private message type “/message <PLAYER NAME> <MESSAGE>” and then hit “enter”. Unlike the previous chat modes that you can switch in and out of, private messages need to have the full command and the players name in front of the message every time you send one. Once someone has sent you a private message there is a very easy way to respond to them with a private message without having to type out the full command with their name. If you simply type “/reply <MESSAGE>” and hit “enter” it will send your message back to the last person that sent you a private message. Be careful though, if someone else sends you a private message while you are typing your response, the server will send the message to the last person who sent one to you. Let’s face it, we’re all a diverse group of players and not everyone is going to get along all the time. While we have strict rules are Better In Game against harassment, sometimes someone may be doing nothing wrong and you simply just don’t want your chat cluttered up with what they are saying. Use “/ignore <PLAYER NAME>” to ignore another player in chat. Typing in “/ignores” will give you a list of all players you’re currently ignoring and “/unignore <PLAYER NAME>” will remove the ignore status for a player. Sponsors at Better In Game have access to a couple features that regular players don’t, including emote messages and name changing. This command is very simple and very straightforward type in “/me <MESSAGE>” and hit “enter”. This will create your message as an emote, saying your name followed by a message in italicized font. Hopefully, you now have a better understanding of chatting in the wide world of online Minecraft. This guide does not include every command in the BungeeSuiteChat but should give you all the basic tools to get talking after you join Better In Game. 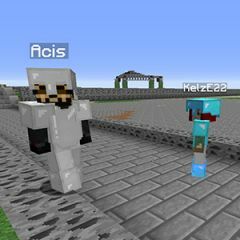 If you’d like to learn more commands check out https://www.spigotmc...eesuitechat.78/ for more info on BungeeSuiteChat. Get out there and start spewing some words! Hey man, a great article! I do have a few notes though, that seem to cause confusion or are misunderstood often. When using server chat an [S] will appear next to your name and when using local chat an [L] will appear next to your name. If you're trying to reach someone and they seem to be ignoring you first check if you're stuck in one of these modes. It happens a lot more often than you think. 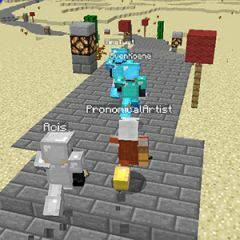 Another addition would be that local chat has a range of about 50 blocks, if you're working on a large project it's usually just better to do it in server or global chat, let others in on the fun too! I'd also like to point out that depending on what server you are, your name will have a different colour. Keep in mind that sponsors can change the colour of their name, but not all of them choose to do so. Name colour is a handy tool of quickly identifying on what server someone is. I use this all the time! Example: /mail send cYnIxX3 Cyn! Your cows are loose again and are harassing my chickens! Please fix your fences (again) next time you're on. You owe me 75 chickens. <3 Alia.